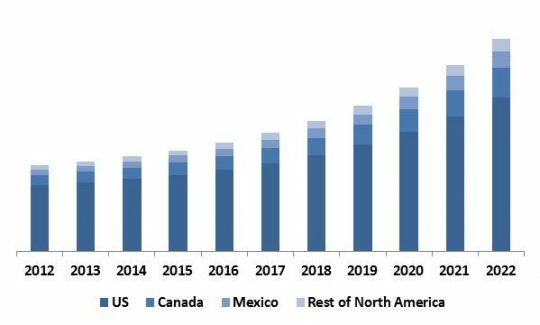 North-America Hyperscale Data Center Market Revenue Share by User Type 2022 (in %)[/caption] Technological innovations have led the Hyperscale data center market to be one among the prime technologies. It is the one of the fastest growing markets in the information technology sector. Virtualization, new cloud based services and unprecedented growth in internet applications have together added to the complexity in the applications. With numerous applications data center designs have more flexibility than ever. The present market conditions have made way for Hyperscale data centers across various industry domains, especially within the IT & telecom, BFSI, energy and manufacturing sectors. The advent of Hyperscale data centers have immensely benefited these industries, due to the technical edge the technology offers, its efficiency, and other associated benefits. The Hyperscale data center is very economical as a technology; therefore, is a perfect solution for low investment approach. [caption id="" align="aligncenter" width="540"] North-America Hyperscale Data Center Market Revenue Share by Hardware Component Type 2015 (in %)[/caption] Servers segment dominated the North America Hyperscale Data Center Market by Component Type. However, networking segment would exhibit maximum CAGR during the forecast period (2016-2022). 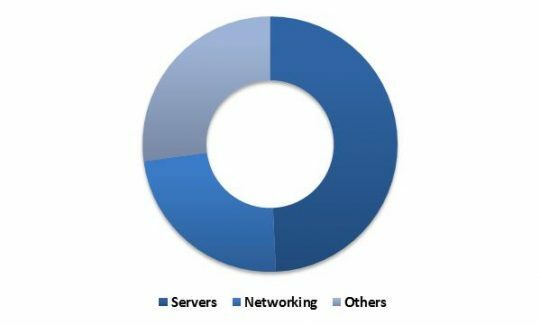 In 2015, IT & Telecom segment dominated the North America Hyperscale Data Center Market by Application with market revenue of $3,071.7 Million. However, Others (Education & Retail) segment would exhibit maximum CAGR of 14.9% during the forecast period (2016-2022). 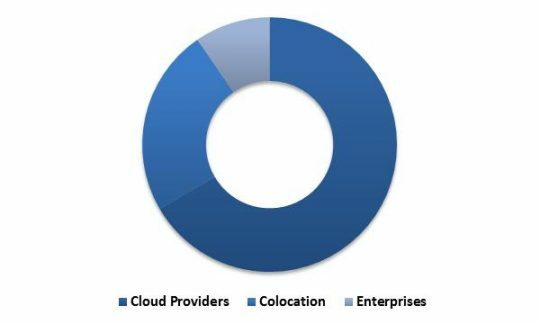 [caption id="" align="aligncenter" width="540"] North-America Hyperscale Data Center Market Revenue Share by Hardware Component Type 2022 (in %)[/caption] In 2015, Cloud Providers segment dominated the North America Hyperscale Data Center Market by User Type and would garner market revenue of $15,095.8 Million by 2022. However, Enterprises segment would exhibit maximum CAGR of 17.1% during the forecast period (2016-2022). [caption id="" align="aligncenter" width="540"] North America Hyperscale Data Center Market Revenue by Country, 2012 2022 (in USD Million)[/caption] The report has exhaustive quantitative insights providing a clear picture of the market potential in various segments across the countries in North America. The key influencing factors of the North America Hyperscale Data Center market have been discussed in the report along with the elaborated company profiles namely IBM Corporation, Cisco Systems, Inc., HP Enterprise Company, Microsoft Corporation, Intel Corporation, Google Inc., Amazon.com, Inc. and SAP SE.